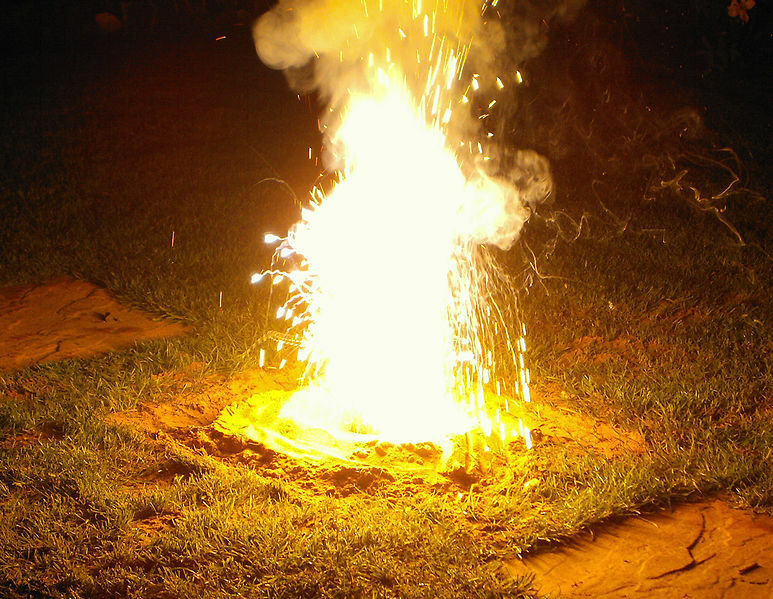 OK, so I spruced up the sublimely boring image accompanying this interesting question over at Popular Science with a picture of the thermite reaction. Sorry, but I couldn’t find a picture of burning plutonium. C’mon Wikipedia! What’s taking so long? The oxygen gas would react with lithium or sodium and ignite, raising the temperature in the container to the point that all hell would break loose. Powdered graphite carbon would ignite, too. There are roughly 25 radioactive elements, and they would make your flaming stew a little dangerous. Flaming plutonium is a very bad thing.